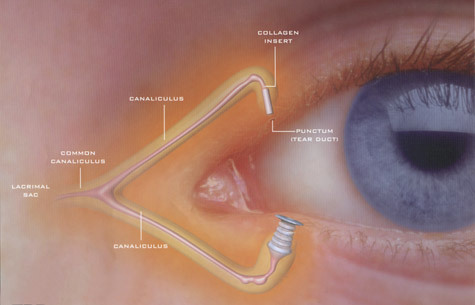 A Treatment for Dry Eye – Punctal Plugs | Visionary Eyecare's Blog: "The Eye Journal"
← See the Inside of Your Eye …. the Way Your Eye Doctor Sees It! This entry was posted in Causes of Blurry Vision, Dry Eye and tagged Artificial Tears, Burning Eye, Burning Eye Treatment, Collagen Plug, Collagen Punctal Plug, Dissolvable Punctal Plug, Dr Anna-Kay Tenn, Dr Dawn Bearden, Dr Emily McCulloh, Dry Eye, Dry Eye Feeling, Dry Eye Treatment, Dryness in Eyes, Eye Doctor Cooper City, Eye Doctor Hollywood, Eye Doctor in Davie, Eye Doctor in Pembroke Pines, Eye Doctor in Sunrise, Eye Doctor Miramar, Eye Doctor Plantation, Eye Doctor Weston, Eye Dryness, Eye Dryness Treatment, Eye Lubricant, Eye Lubrication, Fish Oil, Flaxseed Oil, Intermittent Vision Blur, Itchy Eye, Lacirmal Plugs, Omega 3 Fatty Acid, Puncta, Punctal, Punctal Plugs, Refresh, Refresh Tears, Removable Punctal Plug, Restatis, Silicone Plug, Silicone Punctal Plug, Systane, Systane Tears, Tear, Tear Drainage, Tearing, Tears, Teary Eye, Visine Tears, Vision Blur, Visionary Davie, Visionary Eye Care, Visionary Eyecare, Visionary Pembroke Pines, Visionary Sunrise, Watering Eye, Watery Eye, Watery Eye Treatment, Wet Eye Treatment, Wet Eyes. Bookmark the permalink.